If one were to wish that our great creative minds, could assume the ancient art of prophesy, we might hope that we could ‘remember the future’ – even if we might find ourselves ‘waiting for the past’. 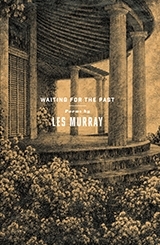 Yet through our surrender to ‘waiting for the past’, we suddenly find ourselves ‘remembering the future’… and this slim handsome hard backed volume, which Stephen Edgar notes has a “Tardis -like quality of being larger on the inside” than it is on the outside, becomes another piece of ordinary magic by the inimitable Les Murray. In “Raising an Only Child” Murray enters one of his common themes of childhood and solitude – describing himself in the second person “…you tell stories of yourself to the hills” and you hear the great lifelong solitude of this poet, which may be something that is needed by any poet, but is particularly strong in Murray’s work, and describes a deep genius of childhood ( and adulthood) that can isolate a human being from the tenderness of love. The poem arrives at the line “ and I, the only true human” … after which I can be in no doubt about the level of separation required. The sepia portrait of Murray on the back cover of the book shows us the man himself. 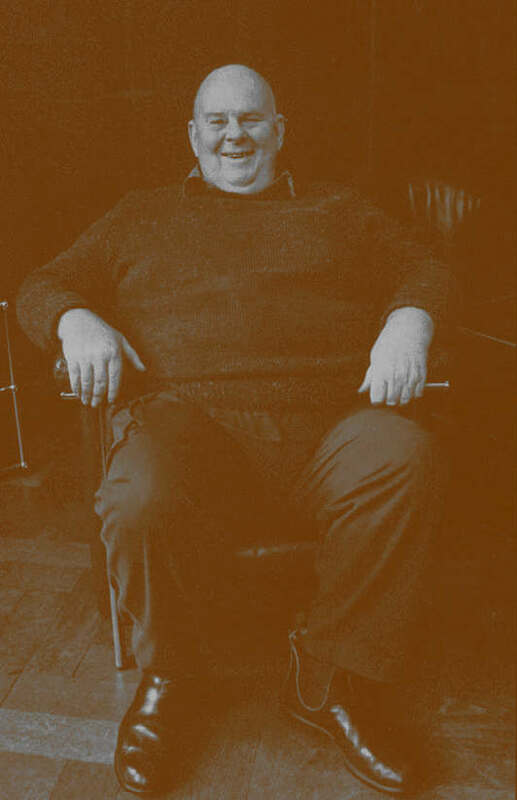 A laughing Buddah with the thick wrists of inherited hard physical work (which he was mostly spared), dressed in country best with polished boots. The bald headed, wide toothed, laughing Buddah of Bunyah may not be the image of Australian poetry that the progressive literarti had imagined. Yet this man and this mind, with all its gentle genius, is the poet that we have somehow formed – which talks to all the world – perhaps to Ireland and England, Europe, more than the United States of America. Murray elicits difficult ideas from a distance through compressing time. In “Persistence of the Reformation” he likens the leaf matter lining the floor of a creek bed to “saucepans of wet money”. And “four hundred years of ship-spread jihad” seems to merge with “the Christian civil war” and then the “bitter chews of an old plug/ from Ireland and England” – arrives finally at “the local dead /still mostly lie in ranks/ assigned them by denominations” The poem itself without one stick of punctuation apart from the six line stanzas, a capital letter at the start and a full stop at the end of the seventh stanza which has nine lines. Yet, somehow after reading the poem I seem to know that the term ‘reformation’ persists as a continuing thing, as a ‘form’ … and must continue to persist on the brutal path to enlightenment. I hear the words of Geoffrey Lehmann declaring the sonnet dead, yet somehow, here is one slightly re designed. Perhaps “Forms” as Plato saw the meaning of the word as much as in its ordinary sense. I think Murray knows the shape and ‘form’ of Australia and whatever it means to be ‘Australian’, more than any other poet writing in contemporary Australia today. Because he dares to be human he elicits compassion. Yet Murray is often (and openly) vilified by an urban progressive Australian literarti. He is authentic rural working class who does not fix what is not broken. One claimed recently that he was not worthy of the Nobel prize because he had not suffered enough. Hows that? This entry was posted in Black Inc., Issue 16, Les Murray, Patrick McCauley, Waiting for the Past and tagged Australian Literature, Australian poetry, Clive James, literature, poetry, Stephen Edgar by Mark Roberts. Bookmark the permalink.